I went to court once. It was a simple matter. I was contesting a $275 ticket I was given for illegally walking across the railroad tracks in Bedford, NS. Yup. Turns out that’s illegal. Who knew? The policeman, who reluctantly issued the ticket (which is different story), did tell me that I could contest it in court. So, I went to court. I watched all the cases called before mine. Citizens, representing themselves, showing up to contest tickets of various sorts – not wearing a seatbelt, not wearing a helmet while cycling, other ones that I don’t recall. What I do recall is that systematically every case was “won” by the court – which had a lawyer present, a process, witnesses (usually policemen) with notes. The contestants had none of these. I knew, that had my case gone forth, there was no way I was walking out of there a winner. Except, thankfully, the policeman who issued the ticket did not show up. My case was dismissed. I walked away with a glimpse into a system of law that is not necessarily a system of justice but a system of process. I am reminded of this little incident by a very high profile celebrity sexual offence case taking place before a judge in Canada at this moment. A case which is not only re-traumatizing the accused’s victims but a host of other people – primarily women – who have experienced something similar in their lives. It makes me think of the system of law, which may or may not be the same as justice. A court system that wants to protect an accused as innocent until proven guilty, so much so that the victims are on trial as much as or more than the accused and seem to have to prove their innocence, and even purity, rather than have it assumed. I am thinking about the women who have had the courage to pursue this case, or similar ones, in the courts, who are taking the stand, whose stories are being cross examined in the search to cast doubt on the facts of the testimony. Re-victimizing victims, as if it wasn’t hard enough the first time, or difficult enough to step forward. It is a system that does not encourage women, perhaps any victim, to step forward, because it treats them harshly. It is supported by a societal wide phenomenon that immediately casts doubt on any woman’s story of sexual assault – casting doubt on the woman herself. Even when many women step forward about the same man, as is the case in this situation, there is more doubt about their character than his, as if there is a conspiracy against him. “Why didn’t you go to the police?” they are asked. “Why didn’t you speak up sooner?” Over and over again the answer is that they did not think they would be believed. Which is exactly what happens. The women in this case say that the accused was, in one moment, the epitome of charming and, in the next moment, he was hitting them in the head or choking them in a rage. There is consistency across the stories, the ones in the courtroom, the ones reported in the media, the general knowledge that existed in the milieus of social settings the accused and the victims found themselves in. Part of the challenge to the credibility of the women is that, in this case, they often describe an initial encounter and then a subsequent encounter. Why did they engage the subsequent encounter if the first went so badly, is the obvious question? Surely it couldn’t have been that bad? Surely now you are only seeking revenge? In reflecting on this and some of my own experiences (not nearly so extreme) in life, it occurs to me there is a gap created by cognitive dissonance – a gap in stimulus and response. A public figure. Charming to the extreme. Seeking some of these women out. Surely the rage is a momentary lapse, not the essence of this person? The mind is resorting to logic to try to make sense of what just happened. The beating, the rage, is “out of character” with what is known or presumed known about this individual and these women found themselves back in his vicinity, imagining a better situation, imagining a respectful encounter. Surely you have encountered such a cognitive dissonance – where it takes your brain awhile to catch up to what your experience is telling you to be true? I know I have been. And then there is the role of facts. 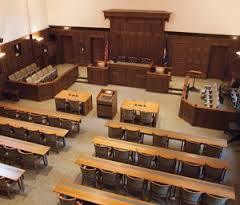 The court system is interested in the facts and in evidence. Part of the issue in testifying is that we relay our experiences through stories, stories that are a mix of facts, emotions and values. And there is research that disputes the idea that factual memory is accurate. If you have ever told a story and had someone contradict the “facts” you relayed with their own, you know how difficult it is to agree on the “facts”, because people remember different things. Was it this or was it that? Who knows for sure? It is easy to get stories confused for several additional reasons. Stories are how we make meaning of our experiences. And we rarely ever tell the same story twice in exactly the same way. As time goes by, how we relate to the story and the experience may shift and change, as we try to imagine it never happened, or as we heal, as we move on, as we learn from our experiences, as we gain distance from the event. The story you tell now about something you experience today may be very different a month from now, a year from now, a decade from now. Yet in a trial, the person on the stand is expected to tell the exact same story, without variance, from the time they gave their statement to the time of the trial and, at a minimum, months, if not years have gone by. Any contradictions become “proof” of their inconsistency and unreliability as a witness. When I was writing Embracing the Stranger in Me: A Journey to Openheartedness, a memoire spanning several decades, I came across my own writing from a decade before – writing done very close to the experiences I was describing. How I remembered those situations and the rawness of the writing immediately following the experiences was very different than how I recalled them a decade later. I find my heart breaking for these women on the stand and for the many more who refused to go there because there is too much trauma, too much shame, too much self doubt and self recrimination. I am torn by believing people do have a right to a fair trial and wondering if that should not also apply to the courageous people who step forward to testify. And I continue to wonder if our justice system delivers justice while understanding the need and increasing demand for processes like restorative justice. And mostly my heart aches for a society that will dismiss the voice of a woman to such a degree that even in numbers there is doubt. My heart aches for a society where people are ostracized for pointing out what is common knowledge in a community, an organization or a social system. I wonder how we have come to be such great protectors of the shadow side, the underbelly, and so afraid of the light. I yearn for places and opportunities for people to be supported and celebrated for doing the right thing, for stepping forward, for making us all safer. And, I hold space from my little corner of the world, for each person who speaks a truth known to many openly and courageously. May we be these people. Well stated Kathy. CBC this morning brought thus to light as well. Hello Anne. And thank you. This is extremely well written. When you stated how there are people that are “innocent until proven guilty” to the point where the “innocent are just as much on trial” you couldn’t be more correct in articulating this point. I was just recently an expert witness on a case involving how a child revealed something to me. It was a way they had been abused and hadn’t told anyone else before. I was also supposed to objectively report on what I witnessed the biological parents doing which was negative to them. I am a CASA. I volunteer my time. I am the only participant during that trial that didn’t have a hidden agenda, yet I was treated as if I was a criminal. The amount of pressure, the tricky way the lawyers ask, reask, and evaluate your answers is unbearable. Luckily I stuck with the truth and the end result, in my opinion, is beneficial for the child. I think some truth was certainly gleaned from the experience. But, like your experience, it made me doubt the system. It is more convoluted, political, and wrought with policy that the child was being put in harm’s way time and time again. I commend you for standing up for yourself and I’m sorry that you have been exposed to such a shocking truth regarding our judicial system. Thank you. I applaud your tenacity and courage in supporting a vulnerable child. 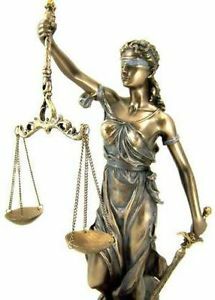 My own experience with the court system at the moment (other than showing up to contest a ticket) has been in observing what is happening in these high profile cases and feeling or empathizing with the experience of these women and becoming increasingly aware of how insidious our systems are – informal social systems too. Thank you for sharing your story here. Many of the thoughts you describe in your article, I have had over the years, but fragmented and never consciously put together as a whole as your article did. I would add that defense lawyers do not get famous or get sought after in horrific cases such as this one, by losing. Reputation, success, pride, earning ability and place in the legal world play a huge part, I believe, in a defense lawyer. I have long thought that justice is not about justice, but about winning. Brigit, thank you for your reflections and your kind comments on the composition of the article. It was rumbling around in my head for awhile before expressing it. I agree with your thoughts about the legal system. It seems to be more of a contest than about justice. It breaks my heart that the women who take the stand have their stories ripped apart not because they are wrong or lying but because the particularity of the process is not about witnesses being heard but, as you say, it is about winning and losing.